We offer our clients UL & CGPPI MAKE APPROVED IN RLY & BHEL, CROMPTON ETC. with this type of industrial adhesive tapes named as Polyimide Film Tape that consist of polyimide film and silicon adhesive. Our range is designed for high temperature applications. Its temperature ranges from -100deg.F to 500 deg. F (-73 deg. C to 260 deg.C). These are widely used in various industrial applications and are appreciated for its long lasting nature. 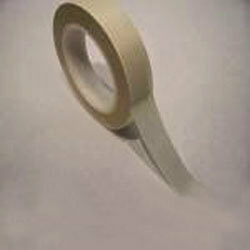 We offer our clients with insulating tapes of " SNEHAM", "CGPPI" that are a type of pressure-sensitive tape used to insulate electrical wires and other material that conducts electricity. Our clients are offered with an extensive range of fiberglass. 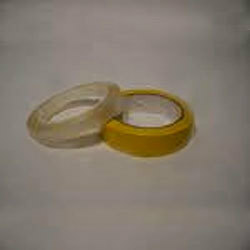 Its tensile strength of fiberglass tape makes it tough enough for use on irrigation lines, pipelines and sewer lines. Its advantage in that scenario is that it dosen’t rot when exposed to constant moisture. The coated type is especially impervious to the elements. These are widely used by all our clients and are well offered at competitive price range. 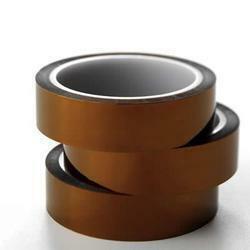 We offer our clients with this type of industrial adhesive tapes named as Polyimide Tape that consist of polyimide film and silicon adhesive. Our range is designed for high temperature applications. Its temperature ranges from -100deg.F to 500 deg. F (-73 deg. C to 260 deg.C). These are widely used in various industrial applications and are appreciated for its long lasting nature. Looking for Industrial Adhesive Tapes ?